We have all heard of Warren Buffett, one of the world’s richest men; right? Warren Buffett is the chairman, president and CEO of Berkshire Hathaway. Berkshire Hathaway is an American multinational conglomerate holding company that oversees and manages a number of subsidiary companies. The company wholly owns GEICO, BNSF, Lubrizol, Dairy Queen, Fruit of the Loom, Helzberg Diamonds and NetJets, owns half of Heinz, owns an undisclosed percentage of Mars, Incorporated and has significant minority holdings in American Express, The Coca-Cola Company, Wells Fargo, and IBM. Click HERE to see a complete list of the companies owned or controlled by Berkshire Hathaway. Click HERE to see the Wikipedia article about Berkshire Hathaway. It is VERY compelling. Berkshire Hathaway averaged an annual growth in book value of 19.7% to its shareholders for the last 48 years (compared to 9.4% from S&P 500 with dividends included for the same period), while employing large amounts of capital, and minimal debt. Berkshire Hathaway stock produced a total return of 76% during the “lost decade”, 2000–2010, versus a negative 11.3% return for the S&P 500. WHY BERKSHIRE HATHAWAY? THAT’S WHY! Here is a look at how Birkshire Hathaway performed vis-a-vis the Dow since 1/1/1980. The Dow’s performance is the blue line at the bottom of the chart. Since the price of one share of Berkshire Hathaway is now about $116,000 not many investors can afford to buy shares in Birkshire Hathaway. 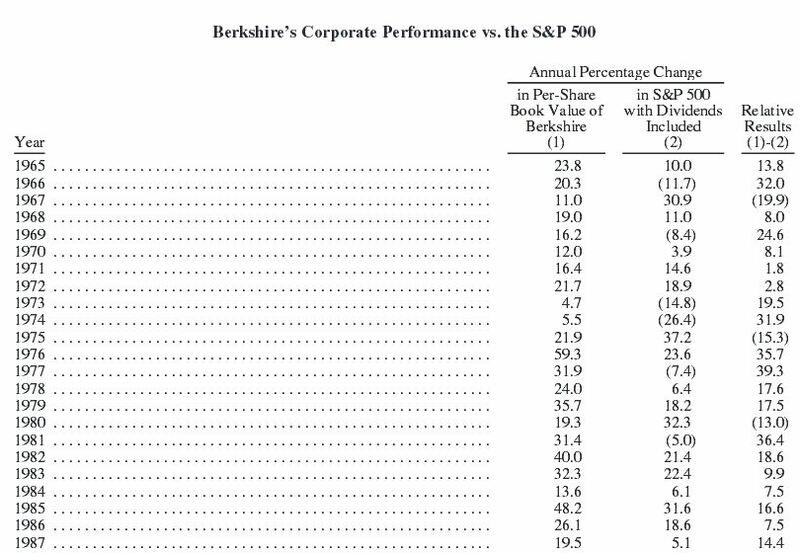 To make the stock more available to the common investor, Warren Buffett created a new “B” class of stock. Here is a look at how the “B” shares have performed since their inception in 1996 vis-a-vis the Dow. Is Berkshire Hathaway’s Performance Likely To Continue? YES. 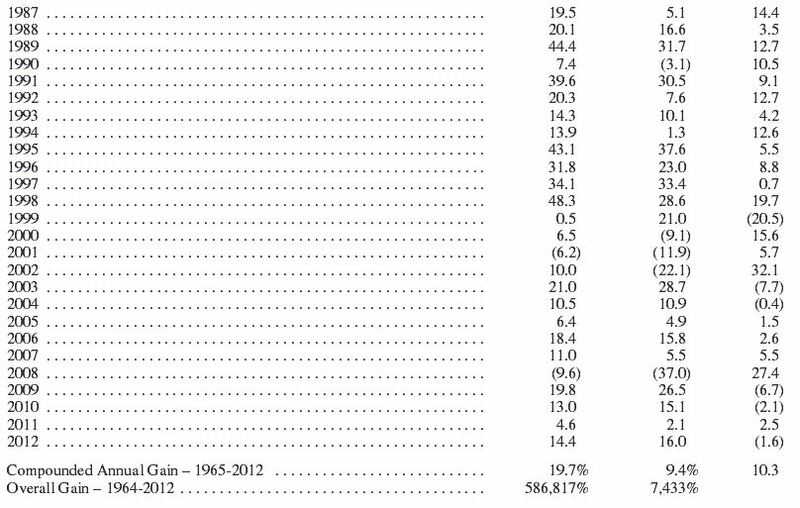 Owning Berkshire Hathaway is like owning a mutual fund. You are NOT buying stock in a single company. Berkshire Hathaway has interests all over the world and in many different industries i.e. you are getting diversification in one company. They rarely make mistakes with their investments and when they do, they are large enough to absorb the problem. Thus… there is no diversification risk. You are investing in many, many companies and nations. Again, check out the interests of Berkshire Hathaway k HERE to see a list of the assets of Berkshire Hathaway. Berkshire Hathaway will probably continue to average a compound rate of return of 19.7% (vs S&P 9.4%) so long as Warren Buffett is at the helm. The risk is that the performance of the company will deteriorate when Warren Buffett dies. He is 83 now (2013) and in apparent good health. He has been the brains behind Berkshire Hathaway since the beginning. Mr. Buffett says he is training others to replace him but can anyone really replace Warren Buffett? That is the risk, plain and simple. 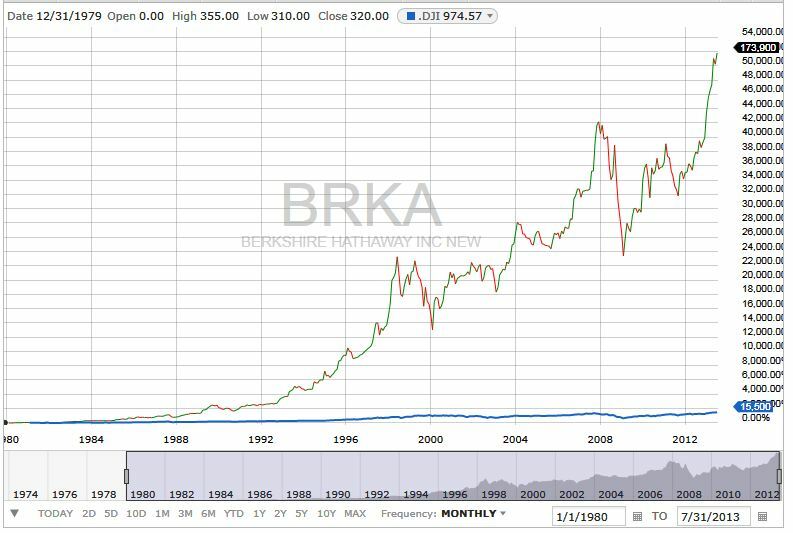 In May 2010, Buffett, months away from his 80th birthday, said he would be succeeded at Berkshire Hathaway by a team consisting of a CEO and three or four investment managers; each of the latter would be responsible for a “significant portion of Berkshire’s investment portfolio”. Five months later, Berkshire announced that Todd Combs, manager of the hedge fund Castle Point Capital, would join them as an investment manager. On September 12, 2011, Berkshire Hathaway announced that 50-year-old Ted Weschler, founder of Peninsula Capital Advisors, will join Berkshire in early 2012 as a second investment manager. When Warren Buffett dies, the company will still be huge and have immense earning potential. The stock will probably lose value initially, but as people see the company continuing to prosper, the stock will continue to increase in value; even if it might be a little less than when Warren Buffett was at the helm. I think the slight risk is worth the potential gain. I’m going to switch much of my assets into BRK-B tomorrow. 2 Responses to Why Berkshire Hathaway? How many shares are there? I don’t know. I don’t care. Why are you asking me? Do a little research if you really need to know. Educate me …. What does it matter? 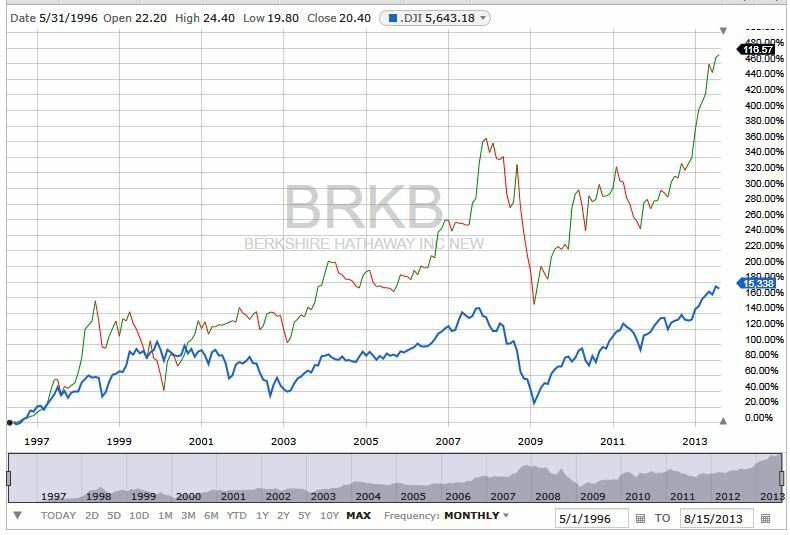 BTW – I did redirect some of my investment to BKW – it has not gone well. I’m changing my recommendation.